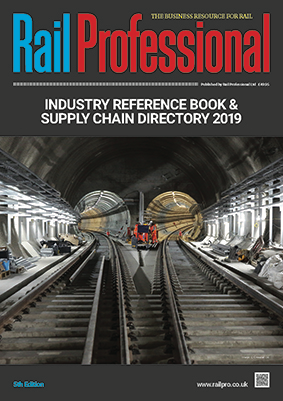 Rail Professional, as the market leading publisher for the rail sector, is producing it’s 2019 Supply Chain Directory. The directory is designed as a working document for all senior professionals working in the rail industry and will provide indispensable information for anyone who has to take on the challenges of the modern rail world. Our annual overview of the rail industry in the United Kingdom provides up to date information on all the major Train Operating Companies (Tocs) and light rail and tram networks across the country. Overviews of the industry’s performance, its significant events and of its major players provide a guide to the future of the sector as a whole and the part that you could play in it. 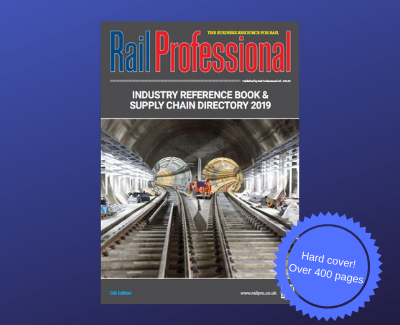 This is a complete source for products and services from a rail supply chain of around 3,500 firms, together with the key information needed about the serious business of running the railways for the people who do that – the rail professionals. As of 1st September 2018, we will no longer ship our publications internationally. If you are based overseas and would like to receive a digital version of our issues in your inbox each month, please subscribe to our mailing list.